The rod dips and the Penn reel spins fast – smoking fast! There's shouting onboard: "We're hooked up!" Now you're sure. 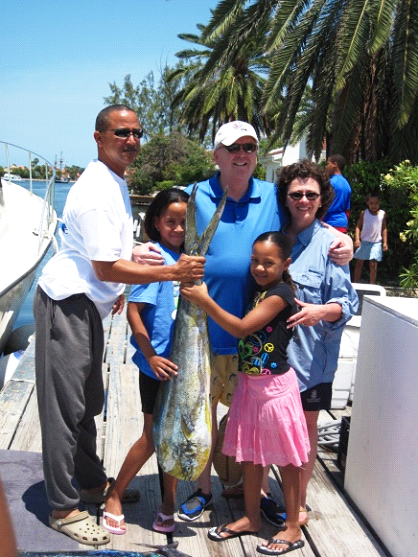 You've hooked the big one! But the fight has just begun... It's as heavy as you are. Or heavier. As strong as you are. Or stronger. The cameras are rolling. You've got to get this baby on board. 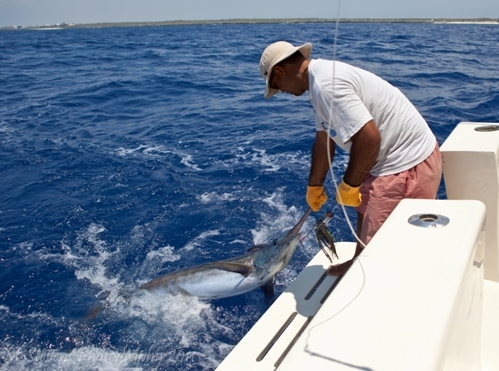 There's something else that you're sure of: you've got an experienced fishing crew and the finest fishing tackle available. There's no way you won't win this battle. 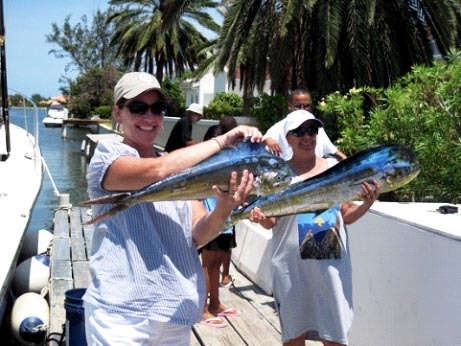 If this sounds like your idea of the right way to spend the day (and want to know how this story ends) book a deep sea fishing charter to catch Wahoo, Marlin, Tuna and Mahi-mahi on Oh Boy. 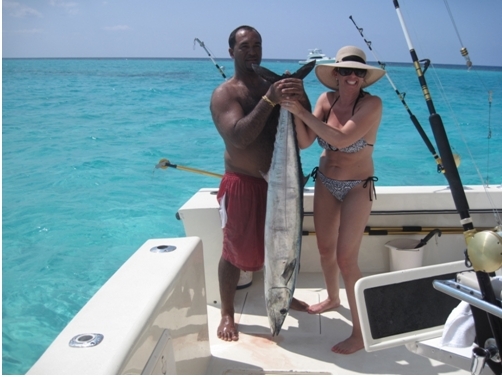 Or perhaps you'd like to fish at a slower more relaxed pace on the reef where you'll fish for barracuda, snapper, jack, and the other bottom fish. And it's ideal for children also. 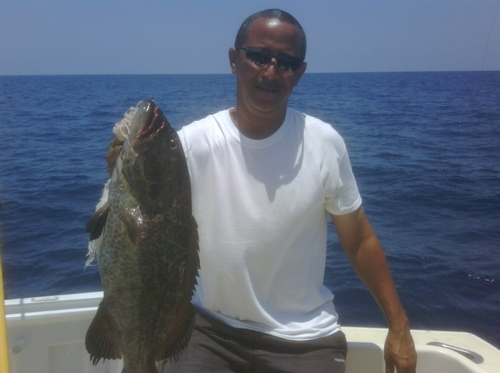 Night fishing trips are also available and run from 6-9pm. 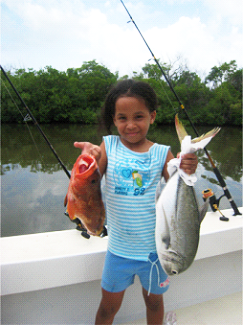 Fish for barracuda, snapper, and jack. Dinner and non-alcoholic drinks are included. 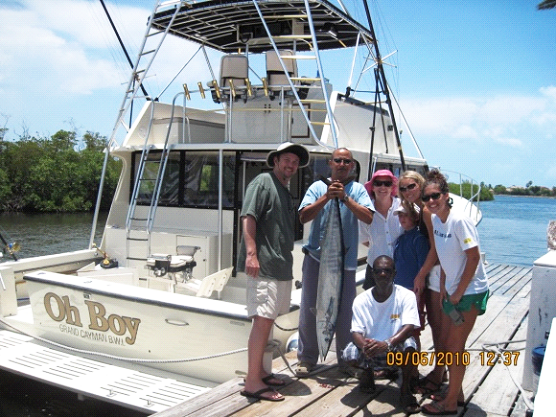 Enjoy BBQ chicken, traditional Cayman-style fish, rice, salad, and cocunut bread. 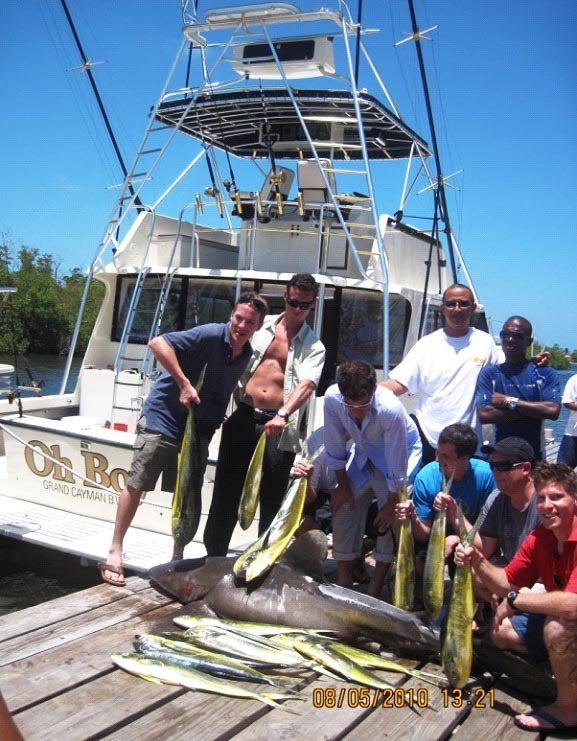 Share charters are also available for deep sea and reef fishing. Enquire by email or call our office for more details. 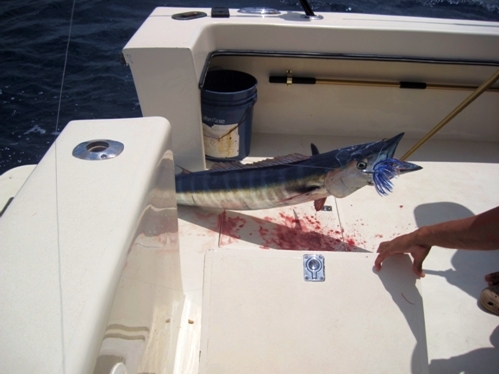 Travel aboard our 60' Custom built Sport fisherman in comfort to the outer banks in search of Tuna and the prized Wahoo. 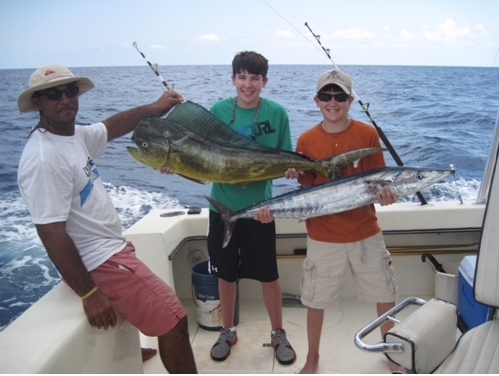 Catered to the Avid and extreme angler this option provides exhilarating fun at a non-stop pace. Please Contact Us For Our Current Specials & Pricing.